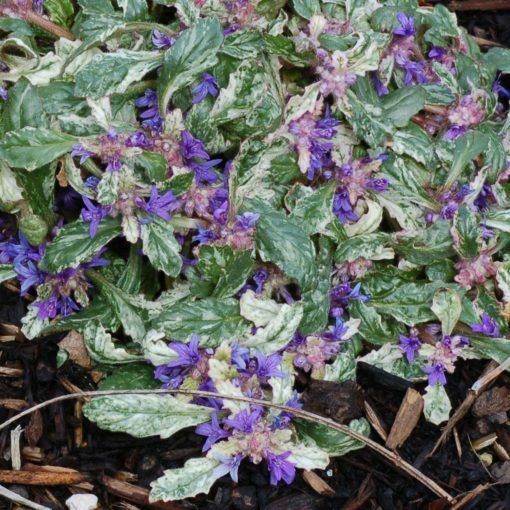 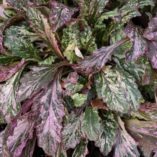 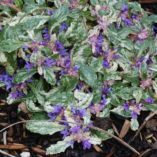 Ajuga ‘Sparkler’ | TERRA NOVA® Nurseries, Inc.
A sparkly new variegated Ajuga. 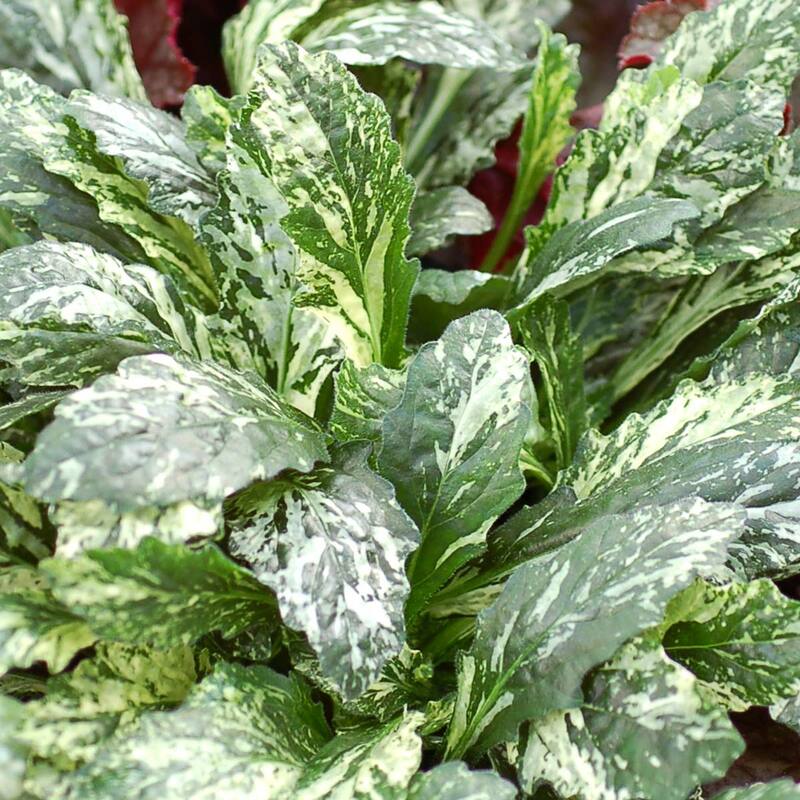 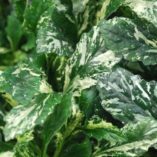 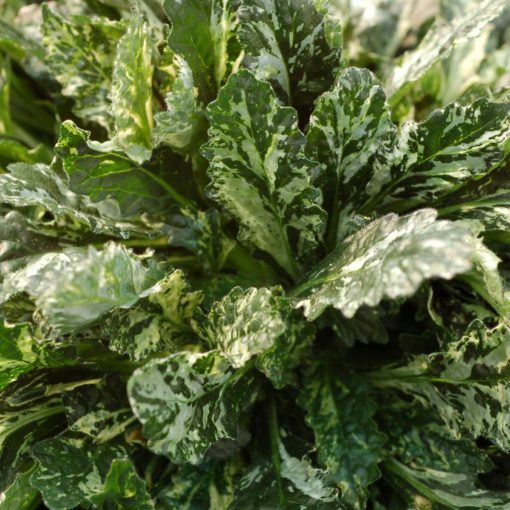 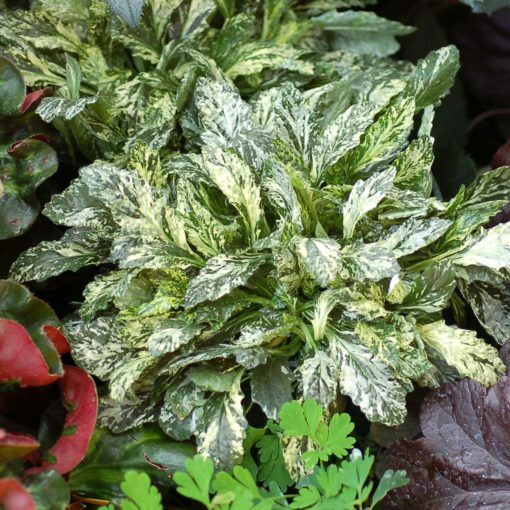 'Sparkler' has thick, dark green, shiny foliage covered in creamy-white splashes that light up the floor of a garden like nothing else. 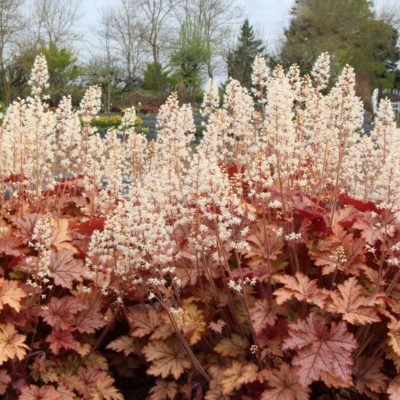 Come winter, the variegated foliage takes on amazing pink tones. 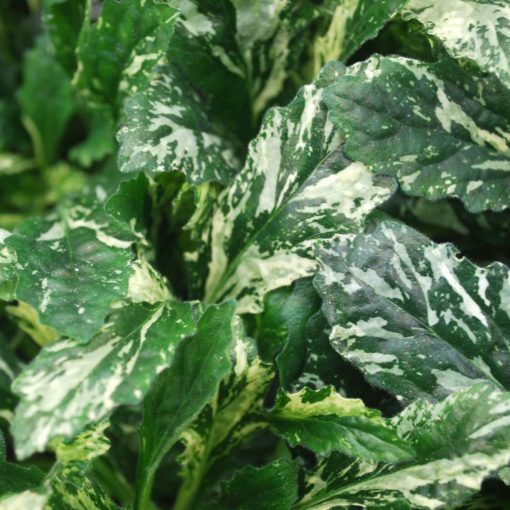 Warm weather with new growth brings out even more variegation. 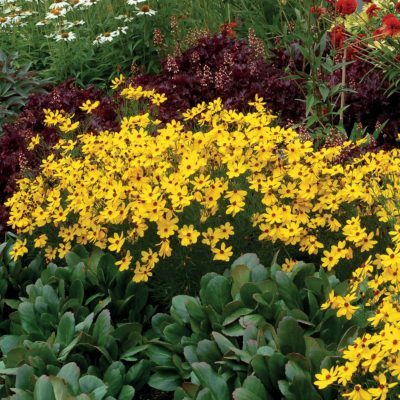 A good accent in containers, as a ground-cover or as an edging for the border. Small blue flowers. 3" / 14" / 3"
Prefers moist, humus rich, well drained soils. 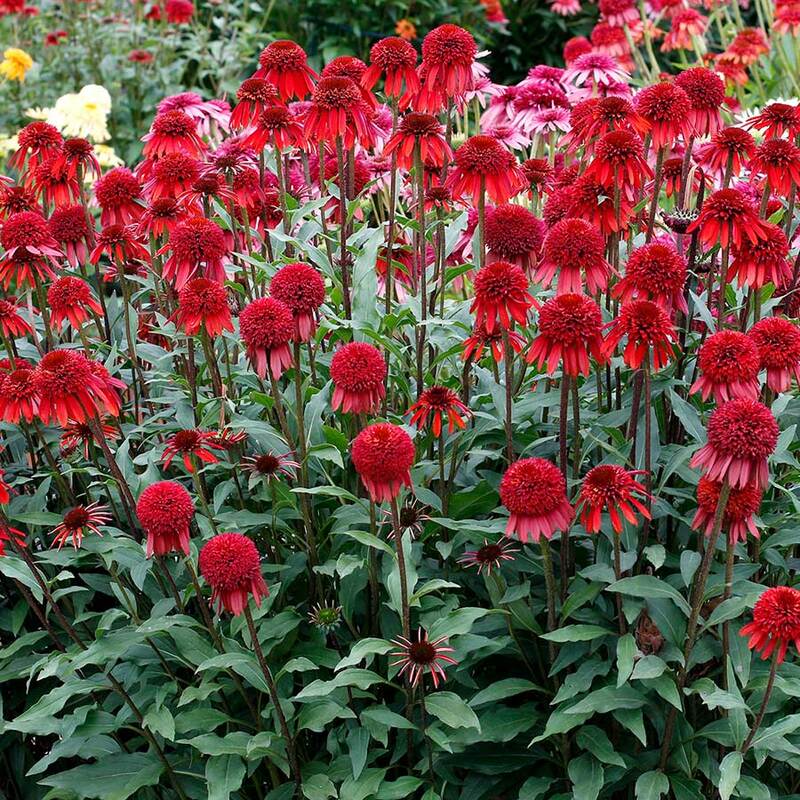 It is very well-splashed and more vigorous and uniform compared to 'Hanabi'. 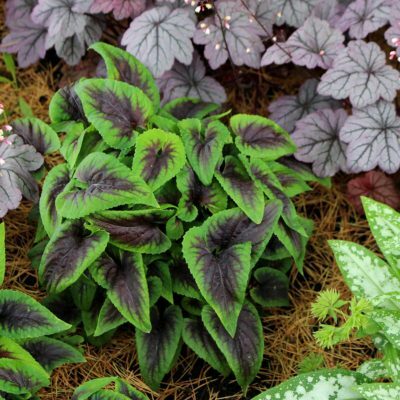 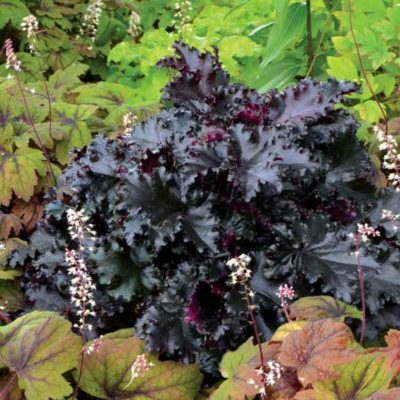 It works great as a groundcover, an edger, or in a container for sun or part shade. Cool plant and easy to grow. 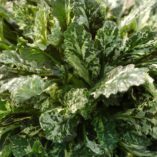 Does well in the South!